Groundbreaking new offer for renting your personal Tango-DJ! Whereas my last newsletter was about a massiv update of the Japanese Club Tango Argentino CDs published by Akihito Baba, most of this newsletter is about an almost similar large update of AMP CDs by Yoshihiro Oiwa. Check them out on my updated AMP-catalog webpage! Another big update was done for the Reliquias catalog. 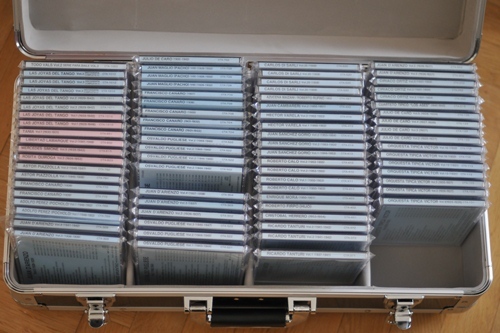 You can find complete highres cover scans and tracklistings of almost 160 Reliquias CDs. In addition there are plenty of Reliquias CDs in stock in case you find interesting ones you want to get for yourself. also one of the most special events there is..
another favorite event of mine. It's unique, it simply is. Lovely, mixed, welcoming tango marathon and one of my favorite events. It's rather a combination of 4 super long milongas attached to each other and lasting for 4 days. Travel whereever you like them to be at any time you want. Carrying all necessary equipment with them. Twice, to have a backup for everything in case something goes wrong in order to keep your event or amusement going on. They will stay whereever you put them - a simple 2m2 spot on your hard floor will do. And don't bother with feeding them - they are used to survive with very little. In case you do not know if there will be enough people attending your event to pay your expenses - just pass this risc on to your personal Tango-DJ as well! He will be happy to cover your risc by raising funds, working harder, longer and for free! 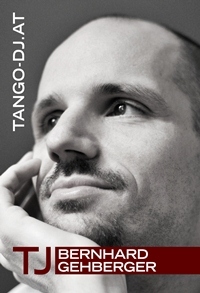 If you need some new tango music, he will be happy to copy you everything of his music collection which was built up during years of hard work and investing a small fortune for free! And they can take care of most of your computer problems as well! Actually most technical things like video recorders, TV set ups and most practical tasks like drilling holes in walls for your pictures and shelves! Don't bother with set up of sound and light equipment, configuration, sound- & lightengineer - your personal DJ will do this for you! If you did not find time to clean your place - no problem either: Your personal Tango-DJ is not only used to the same or less payment than your cleaning person - he can do the job as well! So simply have him clean your place. By the way - most of our Tango-DJs are experienced dancers as well. So go ahead and deploy him as taxidancer for you or any of your milonga visitors! This might be an additional way he will generate some more income for you. And most of our Tango-DJs will be open to any special needs as well! Just ask whatever you like him to do for you and he'lll be happy to oblige. So look out for the start of our new Rent-your-personal-Tango-DJ database soon accessable here on Tango-DJ.at/Rent-a-DJ.htm! I am very happy to be able to add highres coverscans for quite a big bunch of "new" AMP CDs to my AMP catalog webpage. Basically all of them being out of print, very hard to find and very expensive to get. I do hope you appreciate this valuable information which can not be found anywhere on the internet else is given to you for free. Sadly after Yoshihiro Oiwa-san passed away in the end of 2009 it got more and more difficult to get hold of AMP CDs. Nowadays it's almost impossible. The son of Yoshihiro Oiwa has yet not decided how this Tango-CD-"business" will be going on. I shipped my last AMP CD in stock recently and I have no idea if and which of my more than 100 ordered AMP CDs will finally make it. The second big update was done for the Reliquias catalog. You can find high res cover scans and tracklistings of almost 160 Reliquias CDs on my Reliquias webpage. In addition there are some Reliquias CDs available for sale on my CDs in stock page in case you come across some interesting missing ones.